One of the most powerful and yet the most important time to fight against the enemy, is the midnight hours. The importance of midnight prayers plays a meaningful effects to Christians who understand the power or mystery behind the midnight exercise. Midnight prayer is the prayer done from 12am. It is the hour the enemy gathers together with their charms to fight against their victims. A wicked person can stand up at that hour to fire evil arrows. During the midnight hours, people often encounter bad dreams, and spiritual attacks on their body. The power of the midnight is a battlefield between believer and the devil. The common time for spiritual attacks are from 12am -3am. These attacks are organized by witchcraft powers, marine powers, household powers, strongman, witch doctors etc. Many dangerous things are crawling, moving and flying at midnight hours. The spirit of the Lord in your life will give you confidence and power to wrestle against principalities and powers. Until the Almighty God is there in that battle, you cannot come out victorious. Do you know that those that exercise midnight prayers, only return back with attacks? Do you know that many people only take midnight prayers and stop half way? Do you know that not many people can withstand the demons at midnight hour? Do you also know that not many Christians have the full knowledge of the great power in midnight? There are levels you can never attain in life without mastering the act of praying in the midnight. There is no way a person can obtain a total breakthrough without prolonged midnight prayers. And there is no way a person can overcome his enemies without praying at midnight. It is sad but true that there are so many Christians that are full of sleeps. Many believers have given the enemy full access to operate in their life. They have limited interest in midnight prayer warfare. During the sleep of many, demons have successfully sown many tares. The tares of backwardness, stagnation, failure at the edge of breakthrough, sickness, poverty, late marriage and others are suffering, confusion, mental attack etc. Jesus gave one illustration in the book of Matthew that a man went to his farm and planted good seed and put some men there to guide it. But when the men started sleeping and did not do their work of being vigilant, the enemy came and sowed tares among the wheat and went his way. (Matthew 13:24,25). This illustration has a lot of spiritual lessons. The watchmen were not vigilant or watchful and so the enemy came and then planted evil seeds on the same farm! Spiritually speaking, any Christian who is not vigilant and watchful, or not a lover of midnight prayers, the devil will come and sow all manners of problems in his or her life. That is why you see many Christian lives full of problems, obstacles and setbacks even though they are very committed in the Church, sowing seeds and working for God. Why? because they are full of sleeps! One clear divine sign is this; If you are on the bed sleeping and you are rolling around your bed unnecessary in the night, it could be a sign that God wants you to stand up and take some prayers. Because that hour could be the time the enemy is working against you. Serious Christians don’t sleep too much at midnight hour. Real soldier of Christ never get tired at taking midnight prayers. They sleep but they are very conscious in the Spirit! They sleep but their spirit is always on. Tell me the devil that will come near such a person. The truth is, any Christians that don’t sleep too much, that is, they convert their night hour into midnight prayers, such person would always overcome the enemy with the fight of faith. There is power in midnight prayer warfare! Further, it is in the midnight that serious problems are being addressed or tackled. Note, God values midnight prayers more than anything else. Do you know why? Because this is the time you will know a Christian who is serious with God and in prayers! When God sees your sacrifice and labour in midnight prayer warfare, He will answer your prayer speedily. The complaints of many is the nature of their job. If you cannot stand up and pray at midnight to clear off the satanic arrows hiding in the cloud against your open heavens, then you will be working effortlessly without any results. The enemy’s mode of operation is usually to shoot their evil arrows while their victim is asleep. And by the time the person wakes up, he or she will see everything going wrong. They can attack businesses, ministries, marriages, finances, relationships, health, etc. Sometimes, destinies of the victims are taken to their Covens (where they meet) and tied. Or the victim is killed out rightly. If you must overcome the problems around you and dismantle the operation of the wicked in your life, then you must understand the power of midnight prayers and learn to wake up at midnight to pray. For example, look at the activities of the witches and wizards. These are agents of darkness possessed by the spirit of witchcraft. This spirit is known to be one of the most wicked spirits in the kingdom of darkness. They attack their victims at midnight without mercy and forgiveness. 1. MIDNIGHT PRAYER is a time of transition, from one day to another. God can bring a transition in your life as you pray at MIDNIGHT. 2. MIDNIGHT is a time of great spiritual activity, both good and evil. Destinies of man are shaped and interrupted at MIDNIGHT. If you are not shaping your destiny at MIDNIGHT, then somebody may interrupt your life at MIDNIGHT. 3. At a natural level great victories have been won when nations were caught by surprise as their armies were asleep at MIDNIGHT. Satan launches attacks at MIDNIGHT: he feeds people in their dreams at MIDNIGHT; he rapes others in their as they are asleep at MIDNIGHT, etc. 5. Midnight is the time people are most vulnerable to spiritual attacks. It is the hour when enemies lay siege and render people defenseless. It is also the time that you can launch a deadly, surprise attack on your enemies’ camp. 7. Mysterious things happen the most at MIDNIGHT. Have you lost anything or anyone very dear to you under mysterious circumstances? Chances are that the operation was carried out at the MIDNIGHT hour. Remember the harlot in Solomon’s time who lost her child by sleeping on it at MIDNIGHT and at MIDNIGHT she stole her friend’s child: 1 Kings 3:20(KJV) And she arose at MIDNIGHT, and took my son from beside me, while your handmaid slept, and laid it in her bosom, and laid her dead child in my bosom. 8. Great spiritual transactions happens at MIDNIGHT. Solomon got wisdom from God at MIDNIGHT. If you are not receiving something good at midnight, then chance are high that there are evil changes happen against you at MIDNIGHT. 9. Wicked operations happen at MIDNIGHT but we can change that. We must arise and fight. We must wake up and pray. If we do, we can have great impact in our societies and churches. 10. David, the man who never lost a single battle in all his life, has this to say: At MIDNIGHT, I will rise and give thanks to You, because of your righteous judgments. (Ps: 119:62) What excuse do you have? Do you say, “I wish I arise but I’ll be tired”? Do you have a busier schedule than that of King David (president of the nation of Israel?). I don’t think so. 13. Praying at MIDNIGHT is a sacrifice that will not go unrewarded. God sees our desperation through the sacrifices we make to Him. 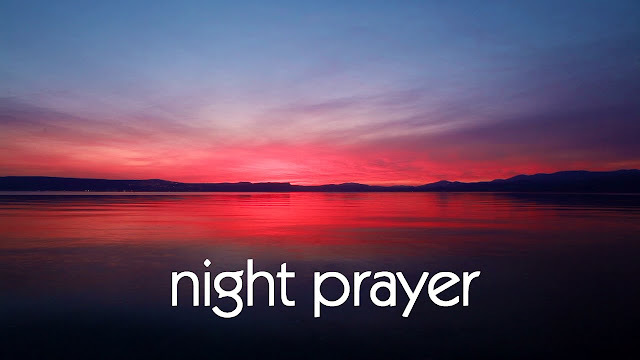 Listen to the Bible: “Arise, Cry out in the NIGHT, in the beginning of the watches pour out thine heart like water before the face of the Lord, lift up thy hands towards Him for the life of thy young children, that faint for hunger in the top of every Street” Lamentation 2:19. It is vital to note that it is a great sacrifice for a Christian to wake up in the midnight to pray! To pray your way out of that difficult situation. And that is why Satan is rejoicing over some weak believers who cannot wake up and pray in the night! The Bible says they should gather together all the Saints that are making this kind of sacrifice unto Him. Psalm 50:5. Note, there are some Christians who are running up and down looking for prophets or visioners to pray for them, not knowing that the Key of solution to their problems is in their hands – consistent MIDNIGHT PRAYER WARFARE wins it! Matthew 16 This scripture is very revealing. Here the Lord is encouraging everyone of His children to wake up in the night and pray for their families, the youths and everyone. Note, if God should open your eyes to see the kind of evil activities going on in the midnight, I can assure you that you will not like to sleep too much any more. The Bible describes night as the hour of darkness when all evils are being perpetuated. But when truly born again Christians begin to pray in the night, demons will not be able to operate in that area. They will flee for their lives. That is why Satan and his cohort hate Christians that always pray in the night. Any Christian family that prays regularly in the midnight will always have victory over some demonic forces. The prayers of a fervent Christian is destructive to the host of wickedness. Please brethren, if you want to pray, pray very hard. if you want to take midnight prayers, ensure you take it very well. It is dangerous to take midnight prayers and sleep off in the process. Devil always loves Christians that sleeps and slumbers during battlefield. Any pastors who does not master the art of praying at midnight hours, he should not be surprised that his ministry will receive mysterious attacks and die a natural death! 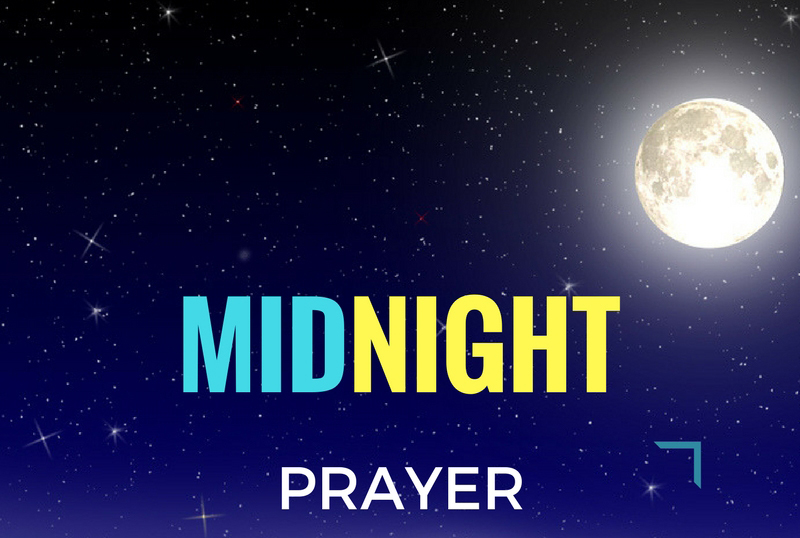 Brethren, I want to challenge you to wake up in the midnight to pray. Set your timetable and put on the garment of your warfare prayers. What makes the devil to be scared or frustrated over some Christians is because of their great passion for midnight prayer warfare. Take the prayers seriously and you will experience peace, Joy, healing, deliverance from powers of darkness, progress, victory in every situation and good health in your life and family from now henceforth. DIVINE ADVICE FOR EVERY SERIOUS CHRISTIAN -. First, Set one or two days every week to wake up and pray seriously with members of your household. Pray seriously against the operations of demons against your family and the Church you attend. Note, when you start praying fervently in the midnight, God will begin to reveal to you the secret plans of your enemies and how to dismantle them by fire. Pray for about 1 or 2 hours in the night and you will begin to see revelations and visions of what is happening in the spiritual realm! God will show you the secret of your life when you start praying this way. Just make prayer your habit and praying in the midnight your way of life or a habit and you see good things begin to happen in your life and family. You don’t need to go and meet any prophet to see vision for you. Rather you will see vision for yourself and your family. This is the original Truth! If you like, believe this sermon or not. The Lord Jehovah says “Call unto me, and I will answer thee, and show thee great and Mighty things which thou knowest not” Jeremiah 33:3. Look, if you heed this advice, and start praying in the midnight hours in the right ways, most of the stubborn problems that have bedeviled you for many years will begin to vanish away mysteriously. In order to balance this message, I need to caution you on praying in the midnight. That is, if you really want to pray powerfully and effectively in the midnight, you need to stay away from sins! The Bible says if I regard iniquity in my heart the Lord will not hear me! Ps 66:18. If I don’t tell you this and you jump into praying in the midnight because it is in the Bible, you will begin to receive serious attacks that you never imagine in your life. Even as a truly born again Christian, you need to begin your prayers with confession of your menial sins, the sins of omission and commission, deep yourself in the blood of Jesus against counter attacks from the kingdom of darkness. If you live in sins and you are binding the devil in the night, the devil will be laughing at you. When you live in sin, you are invoking terrible problems upon yourself! and you will be wasting your time. You need to repent thoroughly and forsake all evil ways if you must pray in the midnight. The reason why we are saying all these things it is because night is a very dangerous period full of evil meetings. That is why if a Christian has no spiritual stamina and begins to pray in the midnight, he or she will begin to have serious problems with powers of darkness. But if you follow the divine advice I gave you above, you will pray powerfully without receiving any attack. You see, knowledge is power. May God give all Christians who are heavenly minded power to wake up and pray in the midnight to dislodge all demonic forces against their families in Jesus Mighty Name. MIDNIGHT PRAYER BULLETS FOR RADICAL CHANGE AND TRANSFORMATION. PRAISE & WORSHIP. SPEAK IN TONGUES IF YOU ARE LED. Pray it tonight O Lord, give me fresh power and grace to wake up and pray in the midnight from this moment forward in the Mighty Name of Jesus Christ! Amen and Amen!! O God shock my enemies tonight, in the name of Jesus. O Lord, let my midnight prayers carry fire and anger against all enemies of my progress, in the name of Jesus. Every evil bird flying around because of my prayers, fall down and die, in Jesus name. O God arise and revive my prayer life, in the name of Jesus. Fire of Elijah, possess me by fire, in Jesus name Any power assigned to kill me this year, you shall kill yourself, in Jesus name. Any wicked power on any evil altar against me, you shall not succeed tonight , in the name of Jesus. By the power of the Holy Ghost, I shall fight my good fight of faith, in Jesus name. Hear my voice , O Lord, preserve me from the fear of the enemy, in the name of Jesus. Every strange powers attacking me in strange ways, be destroyed, by the blood of Jesus. Night raiders, my life is not your candidate, scatter by fire, in Jesus name. Every agent of darkness working against me in the night hours, be exposed by the power of God, in Jesus name. I withdraw my blessings from evil altar, in Jesus name I withdraw my names from evil altar, in the name of Jesus. Anything planted in the air of this environment because of me, scatter by fire, in Jesus name. O God arise and set me free from every problem that is higher than me, in Jesus name. Every spiritual attack from 12am – 3am against me, go back to your sender, in Jesus name. I fire back every witchcraft arrow against my breakthrough from 2am, in the name of Jesus. I scatter all witchcraft meetings organized at 2am for my sake, in Jesus name. Every network of dark power position at midnight to imprison me, catch fire, in Jesus name. Anything witchcraft weapons have destroyed in my life, be restored back by fire, in Jesus name. I reject the arrow of paralysis, in Jesus name. Swallowing powers at midnight hours, I am not your candidate, you shall swallow dust, in the name of Jesus. Any deadly attacks against my destiny, backfire, in the name of Jesus. Every power using my hour of rest to trouble me, roast by fire and by thunder, in Jesus name. I shake off every arrow or bullet of the wicked, in the name of Jesus. I decree, that evil arrows is not my lot, so every arrow of loss, go back to the sender, in Jesus name. Blood sucking demon assigned to drink my blood, die by fire, in Jesus name. I refuse to be used as a sacrifice this year, in Jesus name. All the days of this month and beyond, I shall be protected, in Jesus name. Blood of Jesus hide me from my enemies, in the name of Jesus. Power of the Most High, wash out every long term affliction in my life, in Jesus name. I tear off every calendar of untimely death and bad news, in JESUS NAME. This month, I and my family shall not die by mistake, in Jesus name. Any stray bullet from the kingdom of darkness shall not locate my household, in Jesus name. My blood shall not be used as an exchanged in the kingdom of marine, in Jesus name. Father, If the devil has set up the date of my death, I cancel it by the blood of Jesus. Heavens, fight against all enemies hiding and attack me, in Jesus name.